If wireless charging takes off, the question, “Do you need an iPhone charging cable or an Androidcable?” may become irrelevant in the near future, says Pavan Pudipeddi , founder and CEO of Bengaluru-based wireless charging company PowerSquare. The company, founded in 2012, has launched an in-car wireless charging solution, and is working on bringing a revamped version of its wireless charging mat for multiple devices and a wireless charging power bank. PowerSquare has had a Qi wireless charger in the market for some time now and it’s available online for around Rs. 5,000. Qi wireless chargers from other brands are easily available for much cheaper, but PowerSquare claims that its technology allows for “position-free” wireless charging. 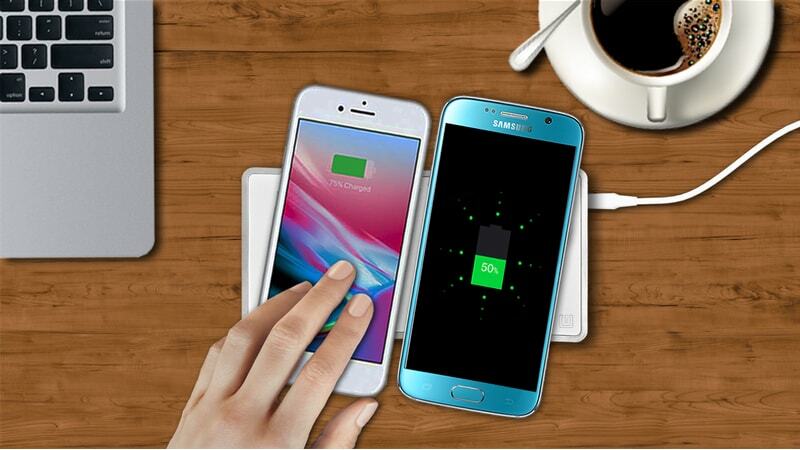 Most Qi wireless chargers in the market have a rather small pad for you to place your smartphone on. If your device moves even slightly — as is the case when it vibrates if you get a call or text messages — it stops charging on many of these chargers. PowerSquare says its charger allows your device a lot more freedom to move. PowerSquare – and some other brands – can do this by adding additional induction coils to the charging mat. “We came up with the technology that you don’t even have to look [while putting your device on the charger]. We also want to solve the problem of charging multiple devices. That’s our innovation,” Puddipedi told Gadgets 360 in Mumbai. With Apple announcing its decision to step into the wireless charging market via the upcoming AirPower charging pad, Puddipedi says the way we charge our smartphones is about to witness a dramatic change. As with any new hardware technology in the market, wireless charging opens up the field for accessory makers. “This is a great opportunity for case makers. You have an iPhone 7, it works perfectly fine, so why would you want to be left out of the wireless charging experience? Their aim could be to make a case that works with the 7 but provides wireless charging as well,” Puddipedi says, but the magnet we’ve pasted to the back of our iPhone case bothers him. We use a magnet-based smartphone car mount, but that’s not ideal for wireless charging. “That’s a killer for wireless power. But even that can be solved by putting ring around the coil… and a magnet on the outside. I think it is a great application for an aftermarket accessory,” he adds. Puddipedi says getting into the in-car wireless charging space is the next step for the company. Although he didn’t reveal which companies PowerSquare is working with for this, he did say that they are major automobile makers and plastics manufacturers. “Automotive has certain challenges inside your cockpit, such as interference with AM, keyless entry, music system, start-stop, there’s a whole bunch of things… so you have to design carefully for that specific design for that specific car. In some cases it could be under your armrests, or glove compartment, etc,” he says, while demonstrating how PowerSquare’s wireless charger works on a car’s armrest. You lift the armrest and place your phone on the charging pad underneath and then you put the armrest down. A soft padding is between the armrest and your phone’s screen, to hold it in place and avoid any damage. The side effect of wireless charging is that it limits how much you can use your phone while it’s charging. With cables, you can sit comfortably while using your smartphone but with wireless chargers, you may find yourself holding both the charger and the phone. Puddipedi says these chargers will show up in cars only around 2019. “Our intention is to bring this into the mid-segment because that’s where the bigger volumes. Important thing is that the phones have to have that technology,” he adds. 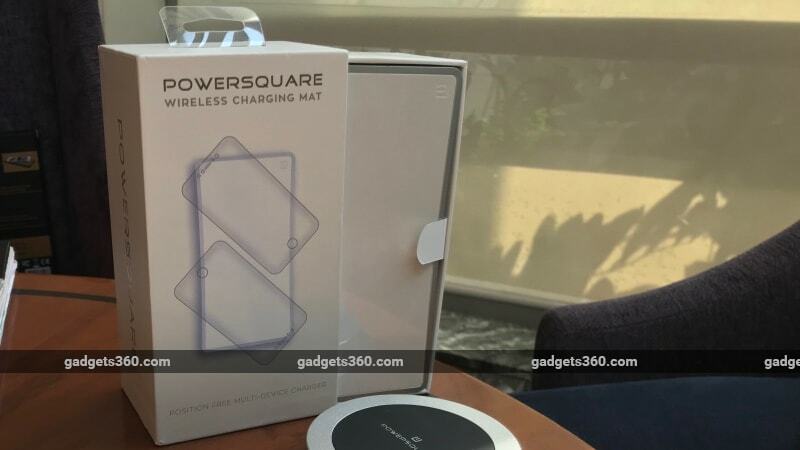 PowerSquare is looking at introducing its revamped wireless charging mat and a power bank this year, starting with the US. The power bank can be charged wirelessly and it charges your devices wirelessly too. We saw these products in action and in the limited time we spent with them, they seemed to work quite well. At the moment, PowerSquare is looking at a price range between $60 (roughly Rs. 3,850) and $100 (roughly Rs. 6,400) for these products in the US.